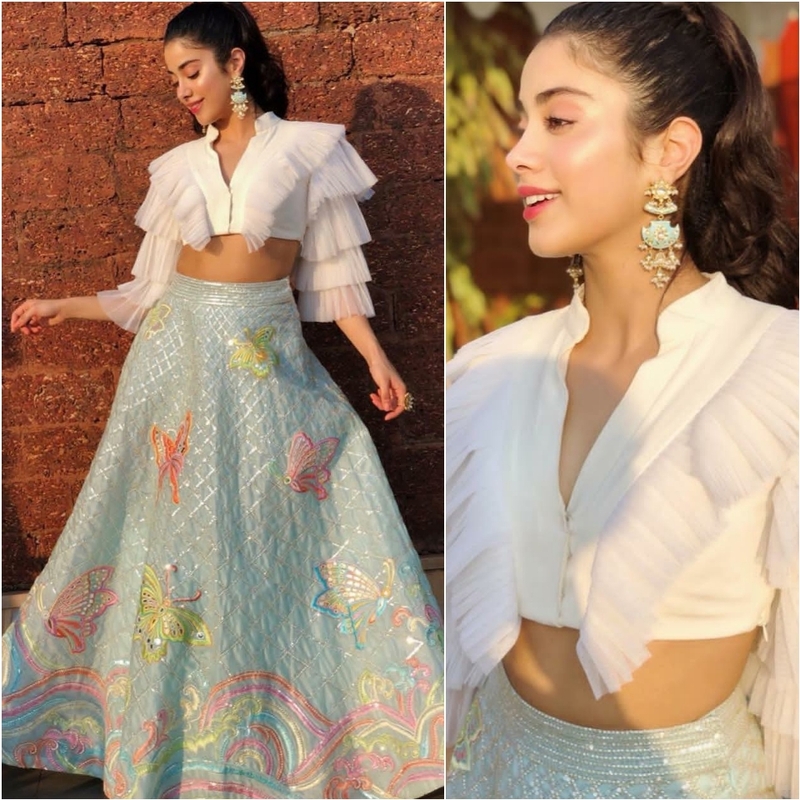 Janhvi Kapoor opted to wear a top and skirt by designer duo Abu Jani Sandeep Khosla for the recently held International Film Festival Goa 2018. Heavy earrings and a pony tail finished off her look! Janhvi looked gorgeous.